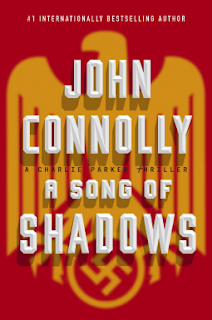 Synopsis: Still recovering from his life-threatening wounds, private detective Charlie Parker investigates a case that has its origins in a Nazi concentration camp during the Second World War. (65)Review: This book takes place a few months after Wolf in Winter ends. Charlie is recouperating from his near death experience. His friends found him a home in a small town in Maine close to the hospital where he is doing his physical therapy. A single mom moves into the house next door. Charlie tries to keep his distance but feels that there is something amiss with this new family. When a dead body washes up on the beach and his neighbor starts acting stranger than normal Charlie doesn't seem to be able to help himself and finds himself looking into the investigation. 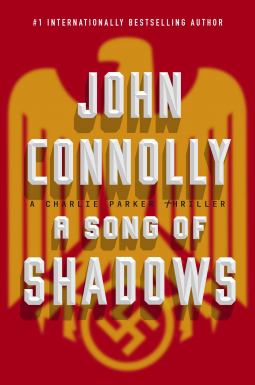 If you have an interest in World War 2, Nazi Germany, and Nazi war fugitives than this Charlie Parker book will have you hooked and turning pages. The information is plentiful and very interesting I think Connolly really put some research into this one. I even learned some things I didn't know or wasn't familiar with that I am now going to have to look into. I am totally in love with this spooky, dark and violent series I can't put them down. Charlies friends Louis and Angel are also some of the best characters I've ever read, I love them. I want to be friends with them and how many contract killers can you say that about? The ending was completely satisfying and leaves me wanting more but not in a cliff hanger way, plus there is a new mystery brewing. Not only can we continue to wonder what Charlie is -because he does seem like an avenging angel...but now we are starting to see more glimpses into his daughter and she has some things going on that even Charlie doesn't understand.